How Islamic is Islamic Finance? The Islamic finance industry has often battled with the question: How Islamic is Islamic banking? The question’s pertinence was raised in March last year, when Sheikh Muhammad Taqi Usmani, of the Accounting and Auditing Organization for Islamic Finance Institutions (AAOIFI), a Bahrain-based regulatory institution that sets standards for the global industry, said that 85% of Sukuk, or Islamic bonds, were un-Islamic. Usmani is the granddaddy of modern-day Islamic finance, so having him make this statement is synonymous with Adam Smith saying that free-markets are inefficient. Because Sukuk underpin the modern-day Islamic financial system, one of its pre-eminent proponents arguing that the epicentre of the system was flawed sent shockwaves through the industry. It also gave ammunition to the many critics who see Islamic finance as an industry more driven by cultural identity than practical problem solving: as a hodgepodge of incoherent, incomplete, impractical and irrelevant ideas. So similar, in fact, that to an outside observer they could be considered the same. Islamic banks now offer Islamic mortgages, Islamic car loans, Islamic credit cards, Islamic time deposit and guaranteed return accounts, Islamic insurance and some even offer Islamic managed and hedge funds.This point is conceded by Samir Alamad, Sharia, or Islamic law, compliance and product development manager of the Islamic Bank of Britain. The core of Islamic economics is a prohibition on interest. This immediately creates a problem for Islamic banks, as conventional banks charge borrowers an interest rate through which they can reward their depositors and make some profit for being the broker. With interest ruled out it is harder to make money. The modern Islamic banker has found a way around this prohibition, however. As in many Islamic products, the bank enters a partnership with its depositors and invests his money in a Sharia compliant business. The profit from this investment is then shared between the depositor and the bank after a set time. In many cases this “profit rate” is competitive with the conventional banking system’s interest rate for savers. If he doesn’t give it to us, we phone up another scholar, offer him a sum of money for his services and ask him for a Fatwa. We do this until we get Sharia compliance Investment banker in Dubai. The bank would buy a vehicle outright and then lease it back to the person who wanted it, over a time period that would ensure that the capital was repaid and the bank made a profit. Alternatively the bank would enter into a partnership with a person wanting to buy a house. The bank would buy 70% of the house, the individual 30%. The bank then rents its share of the house back to the individual until the house is fully paid for. The bank makes a profit on the rent, which would be higher than equivalent rents in the area, but on an annualised percentage basis, would look very much like a conventional mortgage interest rate. To the casual observer, a spade is a spade. Whether the product is dressed up in Arabic terminology, such as Mudarabah, or Ijarah, if it looks and feels like a mortgage, it is a mortgage and to say anything else is semantics. The potential wealth locked up in oil-rich Gulf states encouraged the conventional banks to enter Islamic finance. HSBC established the Amanah Islamic Finance brand in 1998 and Deutsche Bank, Citi, UBS and Barclays quickly joined the fray, all offering interest-free products for wealthy Arabs. This “Fatwa shopping”, which was carried out by some institutions, brings us back to the Sharia scholars. Even these scholars do not agree all the time, which means that in some cases a product is deemed Sharia compliant in one market and not in another. This is especially the case with Malaysian products, which are often deemed not Sharia complaint in the more austere Gulf. This makes it more important to be in the consensus, and so getting a favourable ruling from a leading Sharia scholar is important for a product manager. That is why the top scholars can earn so much money – often six-figure sums for each ruling. The most creative scholars are the ones in the most demand, says Tarek El Diwany, analyst at London-based Islamic financial consultancy Zest Advisory. “To date, most Islamic financiers have been looking at examples of financing in Islamic history and figuring out how to apply them to today’s financial products.” But banking is banking. It is the taking of a deposit and then using it to finance a purchase or business. 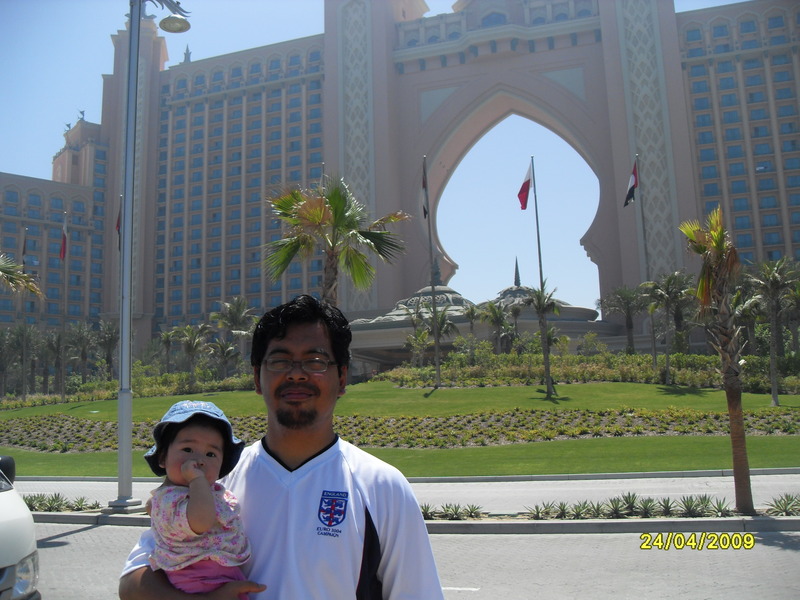 Atlantis the Palm, Dubai, UAE. At the end of the day, you must yourself whether you put your faith [iman] into this Islamic Banking & Finance as being legitimate ie. in compliance with the Divine Shariah or not. Does it matter whether this whole body of Islamic Banking & Finance, albeit, its parent body of Islamic Economics exist ontologically and epistemlogically in the wombs and arms of Debt-based [and not to mention Riba-based] fiat moentary system. Muslim scholars or “students” should go back to principles and be very concerned about their worldview of Islam. Reductionism rather than systemic thinking has attached itself into the thinking of young Muslim scholars and students once they become exposed to the Western_Christian world of great learning.